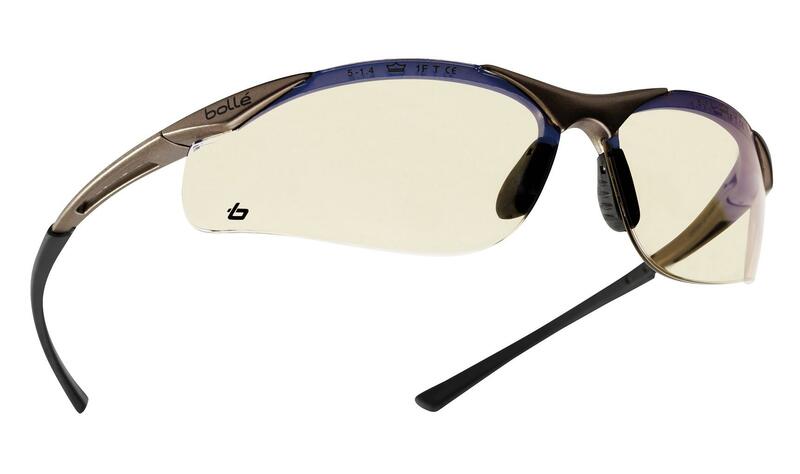 Bollé CONTOUR Contesp anti scratch ESP lens Spectacle, 21 g of strength, sturdy, protective, stylish, comfortable and lightweight. ESP, Extra Sensory Perception. An innovative coating to reduce dazzle and the harmful affects of blue light. Adjustable bridge. Designed to adapt perfectly to your nose so the frame sits perfectly on your face. The non-slip TIPGRIP technology ensures a better fit thanks to its dual-material design and innovative shape, improving temple comfort and hold.